WHAT IS A BIOSPHERE DESTINATION? A tourist destination is a physical and administrative management space that includes products, attractions and tourism resources, associated with images and perceptions that define its competitiveness in the market. A Biosphere destination is much more: it ensures and guarantees the existence of a firm commitment to continuous improvement towards sustainability, competitiveness, quality and the fight against climate change, through the 17 Sustainable Development Goals (SDG) of the United Nations and the Guidelines of the Paris Climate Summit (COP21). Any type of tourist destination, whether or not it has regulatory capacity -even when it is integrated in another destination- can become a Biosphere destination. If you have not yet integrated sustainability into your destination policy, we help you do so. Our certification system is based on a set of standards that establish specific, identifiable and measurable objectives. 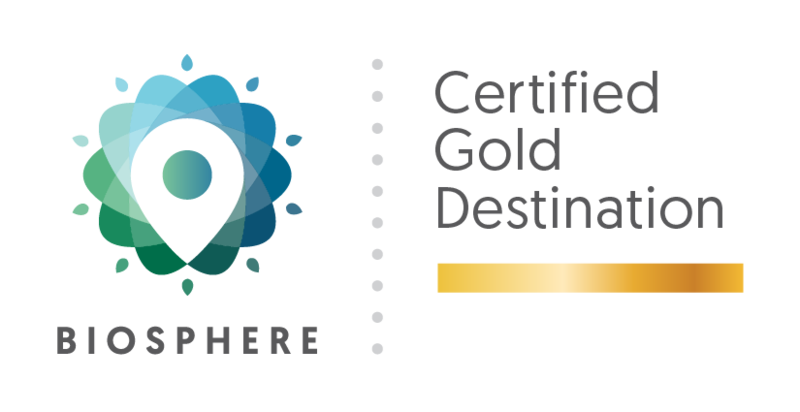 The Biosphere Destination label is a system for measuring sustainability, with the aim of functioning as a tool for continuous improvement and thus recognize this commitment of destinations, companies and tourism services. In addition, a certified tourist destination can encourage sustainable tourism among private companies in its geographical area, promoting policies that can lead them to obtain their own sustainability seal. 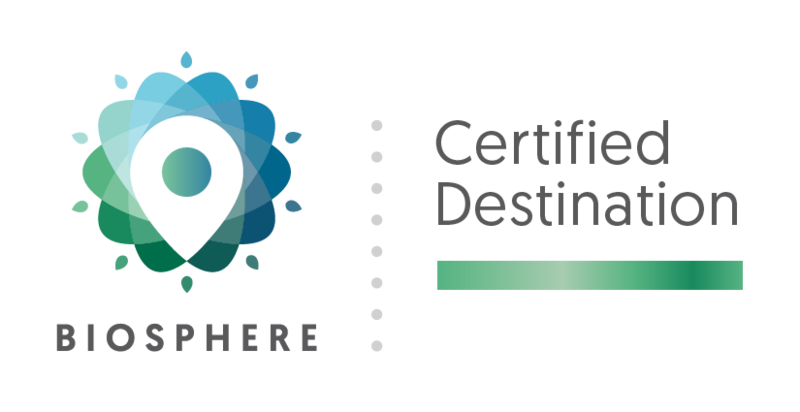 For this, we have designed the Biosphere Committed Company seal, which the companies may hold as a guarantee that shows their commitment to the destination, following the sustainability objectives set by our certification system. If you want your destination to have our Biosphere Destination seal, get in touch with us and we will guide you in achieving a series of goals and implementing policies that help ensure the sustainability of your geographical area, whatever its size, location or development level. HOW TO BECOME A BIOSPHERE SUSTAINABLE DESTINATION? If you want to join the Biosphere Destination Community BDC, follow the next methodology. WHAT IS THE BIOSPHERE DESTINATION COMMUNITY (BDC)? 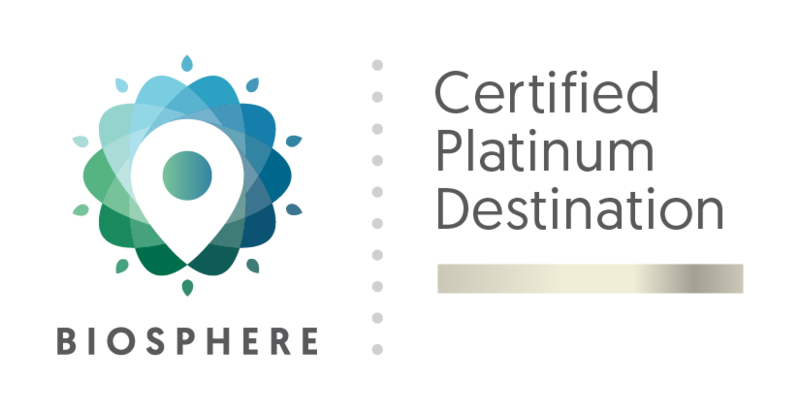 The Biosphere Destination Community is the meeting point for those destinations committed to sustainability that hold or are in the process of achieving the Biosphere certification. The vision of the BDC is that of a group of sustainable destinations from around the world that are interconnected and implement practices that support the natural and cultural heritage, social values ​​and economic benefits for their community, through more efficient and innovative use of their resources. Be a place to promote the sustainability of and in destinations. Serve as an exchange platform for the participating destinations and, promote dialogue. Consider joint projects to promote the goals of member destinations. Serve as a platform to promote tourism as an economic engine of the destinations. Promote commitment to sustainability by inviting other destinations. Serve as an active discussion forum for participants. Unite marketing opportunities, including Biosphere Experiences. Improve knowledge through the exchange of experiences. Access to a wide range of tools and information through the network and resources of the Responsible Tourism Institute. Influence and reach a common agreement on criteria and methodologies for sustainable development. Participate in decision-making that will impact global tourism development through partnership with international organizations (UNESCO, OMT and others). Participate in global and international cooperation projects focused on sustainable tourism.